Mayor Jim Kenney and other Philadelphia officials hosted an event that was part of a national effort to urge federal lawmakers to reject a measure to repeal the Affordable Care Act. Flanked by other elected officials, health experts and ACA beneficiaries, Kenney outlined Wednesday the detrimental effects a repeal of the law more commonly known as "Obamacare" would have on the city and millions of Americans. 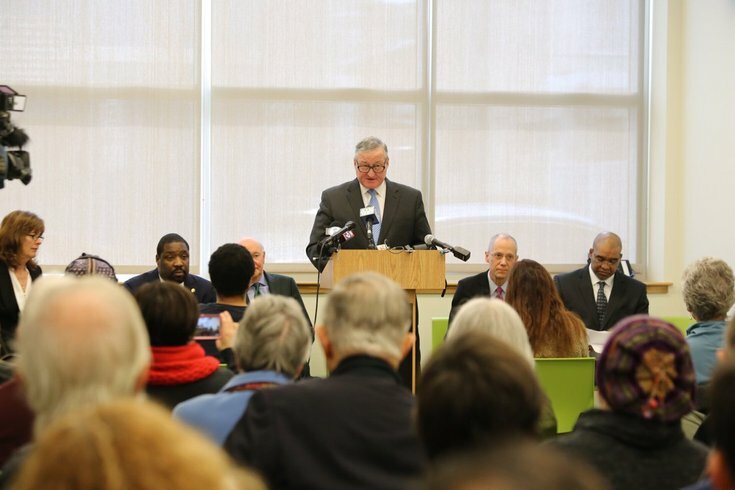 The press conference was held at Community Health and Literacy Center in the city's Point Breeze section as part of the U.S. Conference of Mayors National Day of Action. Kenney noted that approximately 220,000 city residents – one in six adults – gained coverage through ACA since becoming law in 2010. About 160,000 individuals secured a plan through the optional Medicaid expansion, which Pennsylvania adopted. Health commissioners warned that the city's Department of Public Health would lose $7.7 million annually under a full repeal of the ACA. The funding is used to immunize children and investigate outbreaks of infectious diseases, city officials said. Other protections provided by the ACA include preventing insurance companies from refusing coverage due to pre-existing conditions, allowing children to remain on their parents' plans until age 26 and removing annual and lifetime limits. President Donald Trump and other Republican lawmakers have expressed intentions to repeal the ACA, but keep certain provisions. However, a specific proposal has yet to be unveiled. Supporters of the ACA have shown an unwillingness to hear alternative ideas. On Saturday, throngs of demonstrators are expected to attend "Philly Healthcare Rally – Defend the ACA” at Thomas Paine Plaza in Center City. That event, organized by Women's March Pennsylvania, is scheduled to begin at 12:30 p.m.
"We're supposed to take care of each other. That might not be in vogue these days, but it's still true," Kenney said.